All the time I used to imagine like I will be owning a Esteem Car for low price and drove it to nature spot. On my free time used to check over classifieds for low price in condition vehicles, would save the links and contact number but never went ahead and made contact with them for enquiry. I used to tell my closed ones about this. It was like almost 10 years I always dream to have Black/White Esteem. When ever i see a esteem would really stop by and look it around for some time. I even made a sketch of having a Esteem car and drove it near river side/nature spot. One fine day, it became reality. 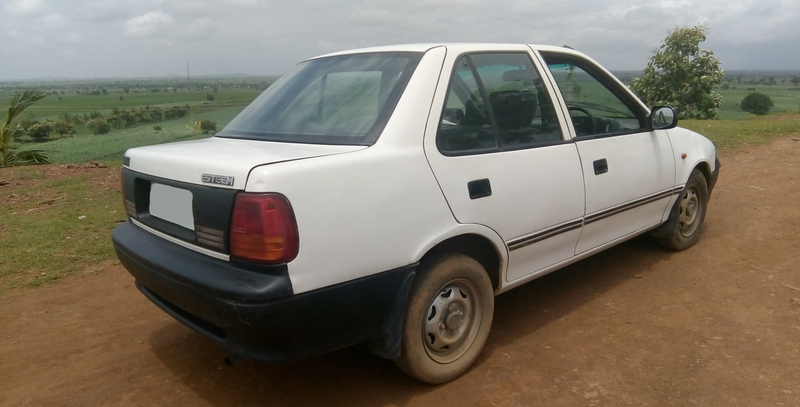 Now I own a Maruti Suzuki Esteem car, all this happened when i used to share my thoughts with one of my closed one and he took it serious and he told the same to his dad, and in just a week or few days they searched me a car and got it ready for me. All thanks to the close buddy. Danyavadagalu aatmiya Geleya Arjun !